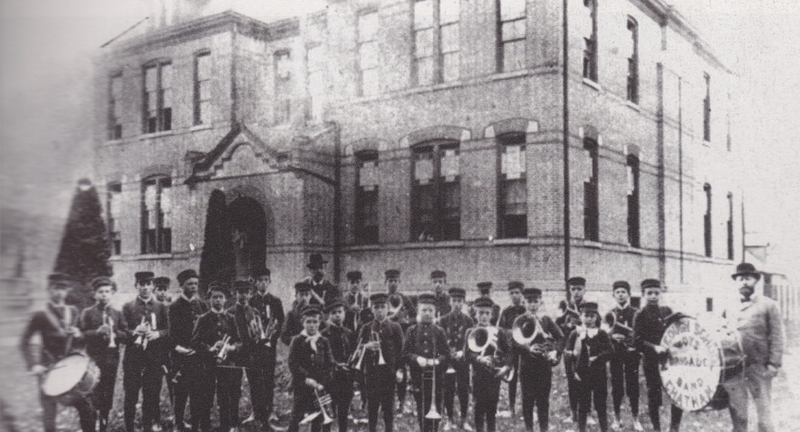 1883 – McKeough Public School Band. The Forest Street School opened in 1882 and closed in 2001. 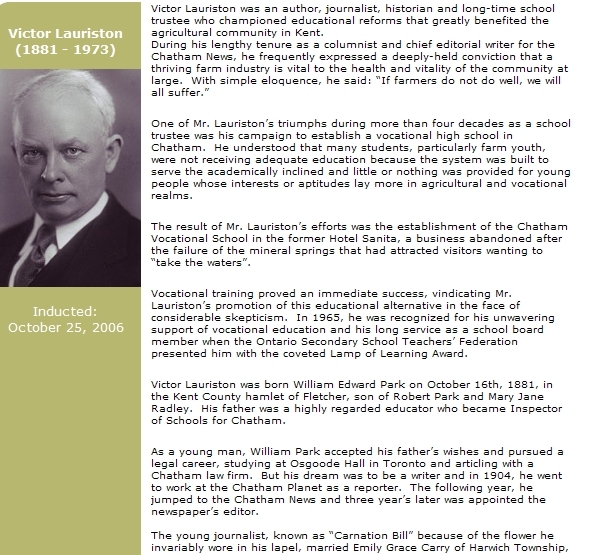 1906 – Victor Lauriston writes the song “Maple Land”, a song of Canada. Entered according to Act of Parliament of Canada at the Department of Agriculture. Music by George Hahn. 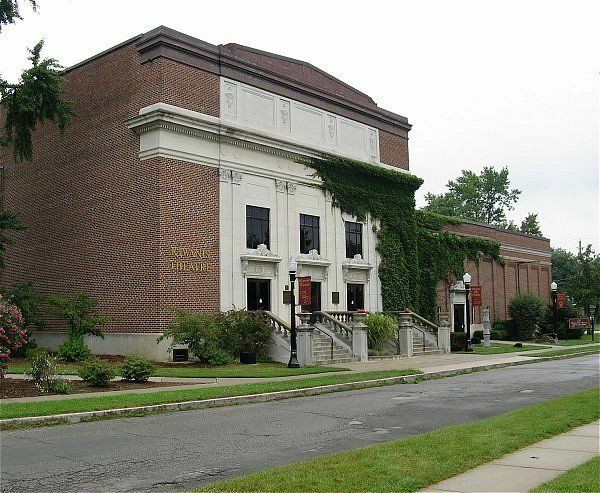 1927 – The Chatham Concert Band was organized in 1927. 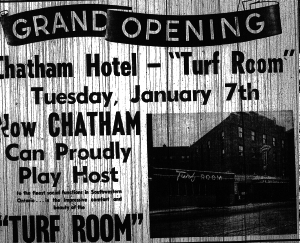 1964 – The Turf Room opens in Downtown Chatham January 7th 1964 inside the Chatham Hotel. 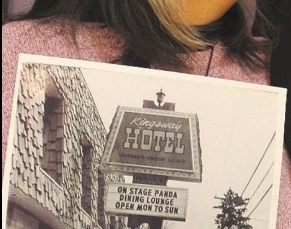 The club was host to bands from home and afar for many, many years. 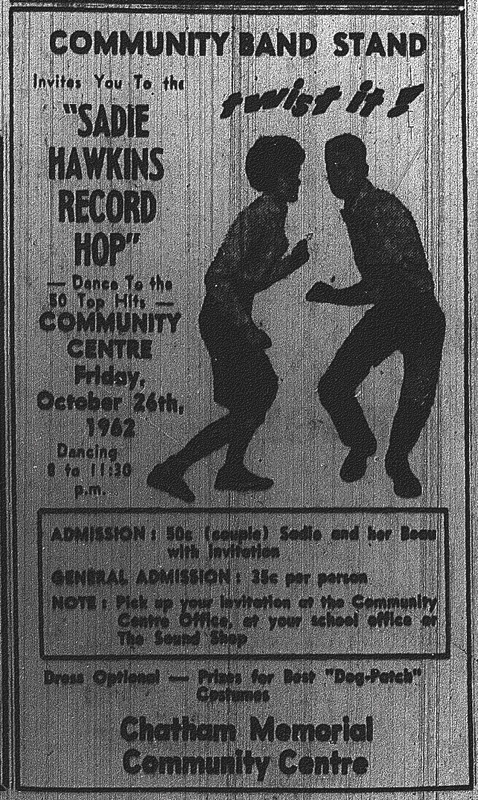 1964 – A Record Hop was held every Friday at the Chatham Memorial Community Centre in 1964, in Chatham. 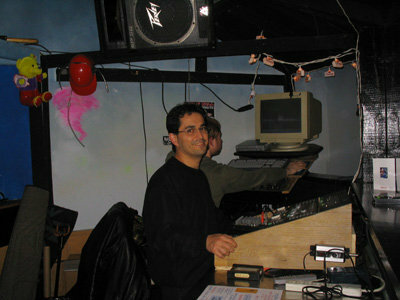 The Dj was Mark Lade from CFCO Radio. The Hops carried into 1966 too. 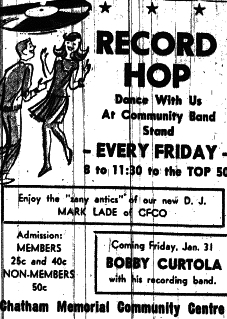 Also in 1964, every Friday night at the Pyranon Ballroom, the Teddy Bear Hop was held. 1966 – CFCO Radio – Some of the on-air names at CFCO at this time: Vern Rombough (mornings) Jim Knettle (middays) Fred Merrit (afternoons) Jim Junk (evenings). News: Jim Cassidy (joined from CJET in Smiths Falls), Pete McGarvey, Dave Hodge (sports). 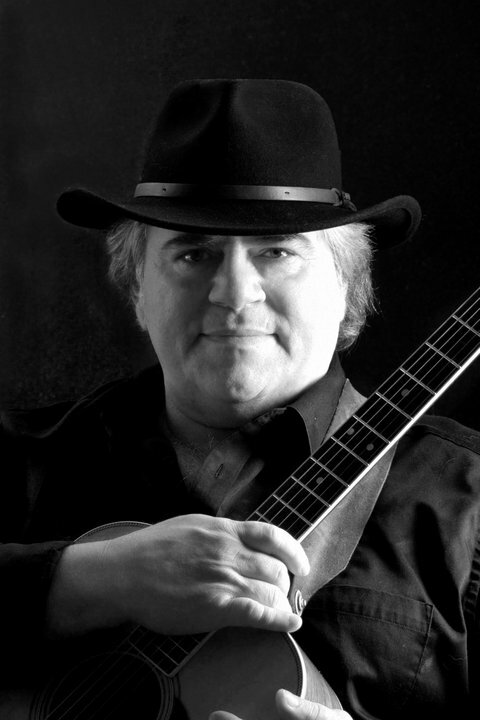 1967 – Bruce French – Canadian concert guitarist Bruce French of Ridgetown is now studying the Lute. Bruce has already mastered the ukulele and Spanish guitar. He also attended the Detroit Conservatory of Music studying from the great Italo Taranta. The 24 year old was a member of various local orchestras while studying. 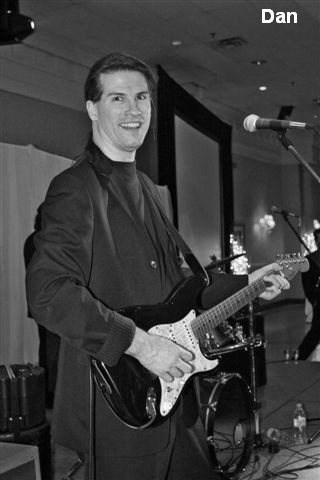 Bruce French has become a well respected and well known name to classical music enthusiasts through out Ontario. 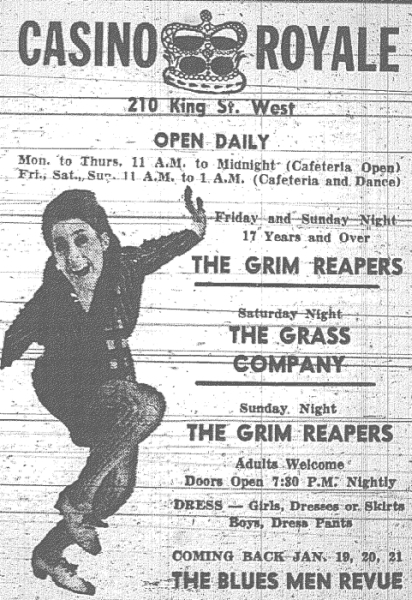 1968 – Another live venue – Casino Royale @ 210 King St. W. Bands such as The Grim Reapers, The Grass Company (Kim Mitchells/ Max Webster early band), & The Blues Man Revue. 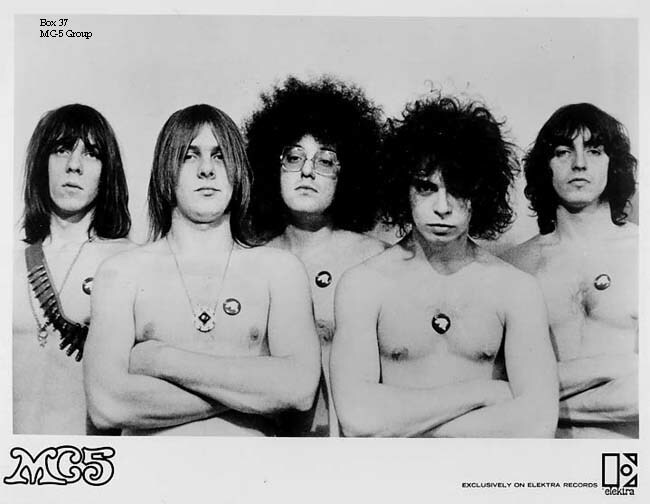 1969 – MC5 play the Rondeau Pavillion July 9th 1969. 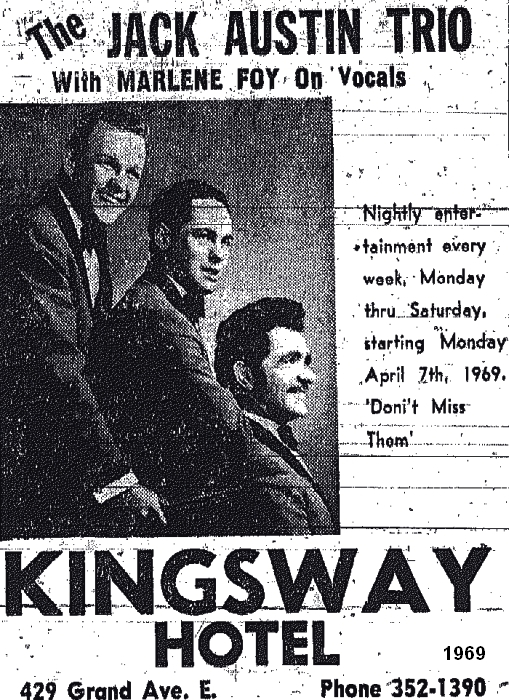 1969 – The Kingsway Hotel, a live venue with many acts coming through and home to locals The Jack Austin Trio. 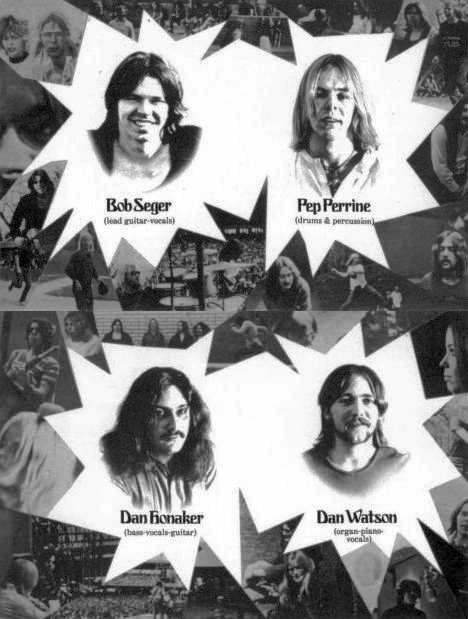 1970 – Legendary Bob Seger performs at the Rondeau Pavilion Sept. 2nd 1970 as the ‘Bob Seger System’. 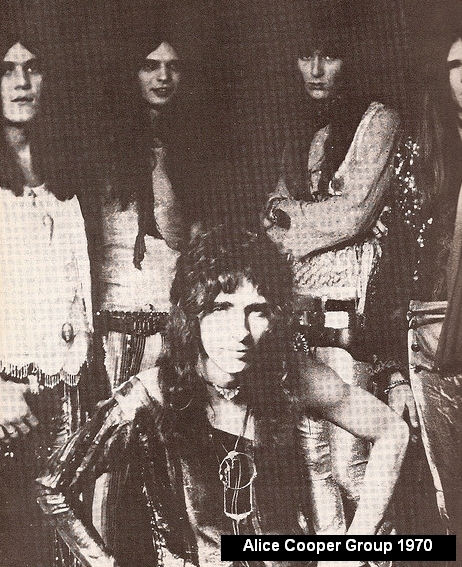 1970 – Shock Rocker Alice Cooper live in Chatham-Kent Dec 28th 1970 on his ‘Easy Action’ tour. 1970 – Diamond Hall Music Centre announces their official opening of the new larger store at 40 King Street West. 1972 – Musical Strings ‘N’ Things Ltd., (aka “Strings ‘n’ Things”), opened for business in 1972. Its first location was in a small store on Fourth Street. 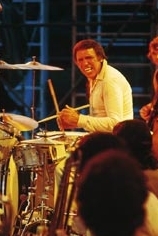 1973 – The legendary jazz drummer Buddy Rich and his orchestra perform at the Capital Theatre in Chatham on Feb. 28 1973. 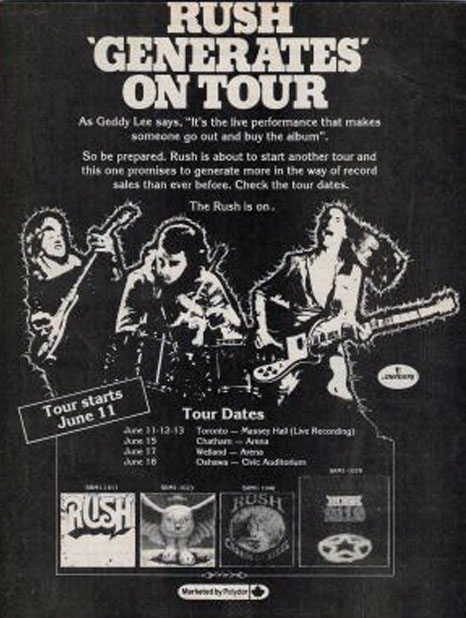 1976 – June 15th 1976, legendary rock band ‘Rush‘ perform at the Chatham Memorial Arena. 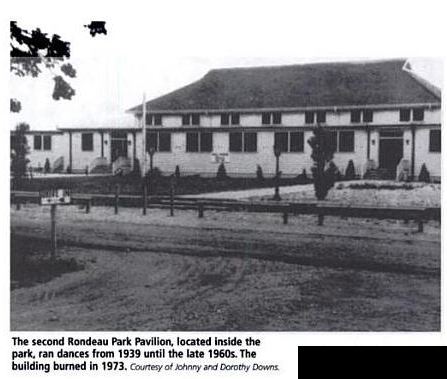 In the fall of 1950 the Chatham Memorial Arena officially opened to the community. 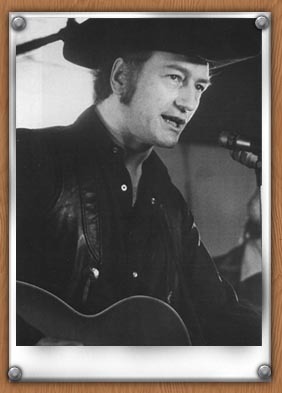 1976 – Stompin’ Tom Connors Live in concert at the Memorial Community Centre. Thurs. Sept. 16th at 8pm. Chatham welcomes Canada’s number one country entertainer at the time. 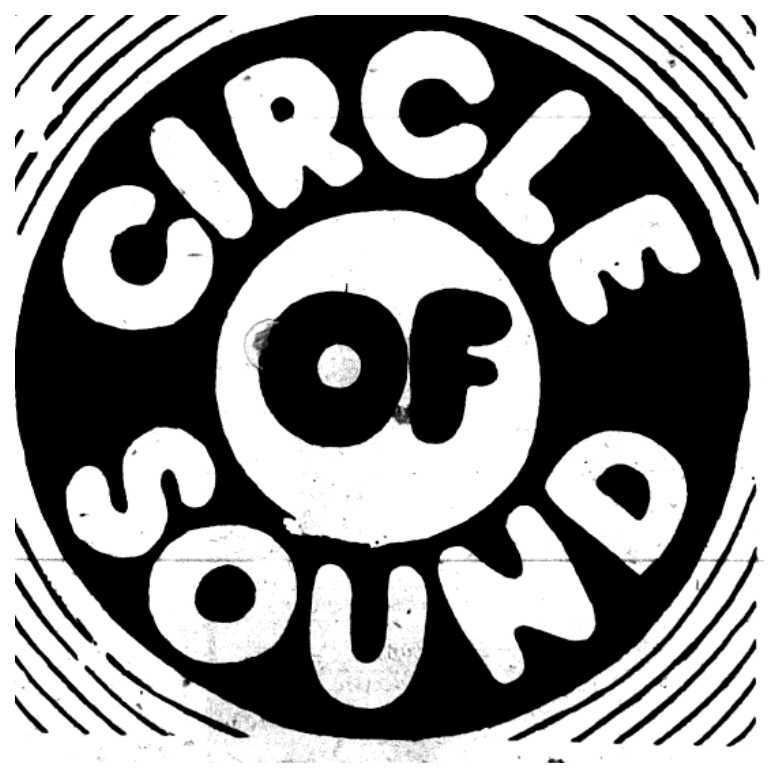 1977 – Circle of Sound was a record shop in Chatham in 1977. 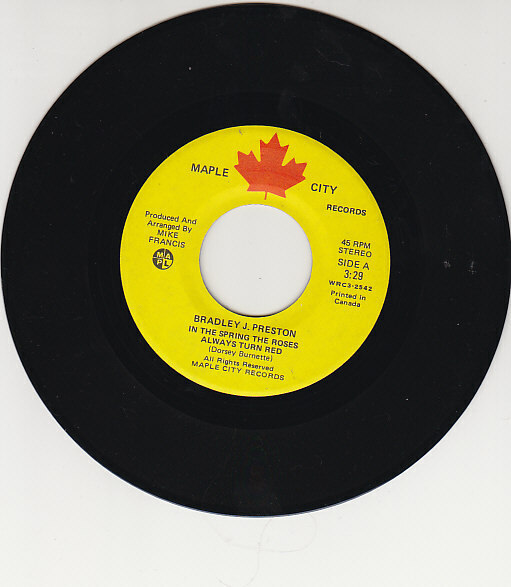 Vinyl was the popular format that music was sold as, better known as the LP or Album. 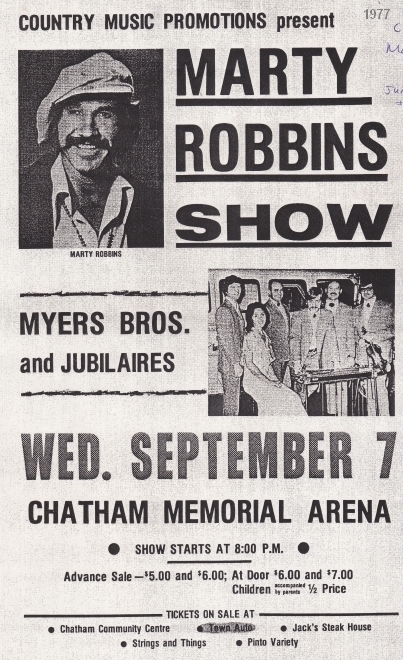 1977 – Marty Robbins Show @ The Memorial Arena. 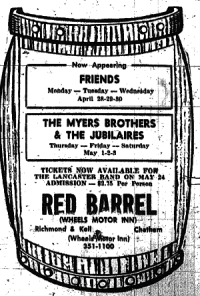 1978 – Sarnia band ‘Max Webster’ performs at the ‘Wheels’ in Chatham in 1978. The band had Kim Mitchell on guitar and vocals. 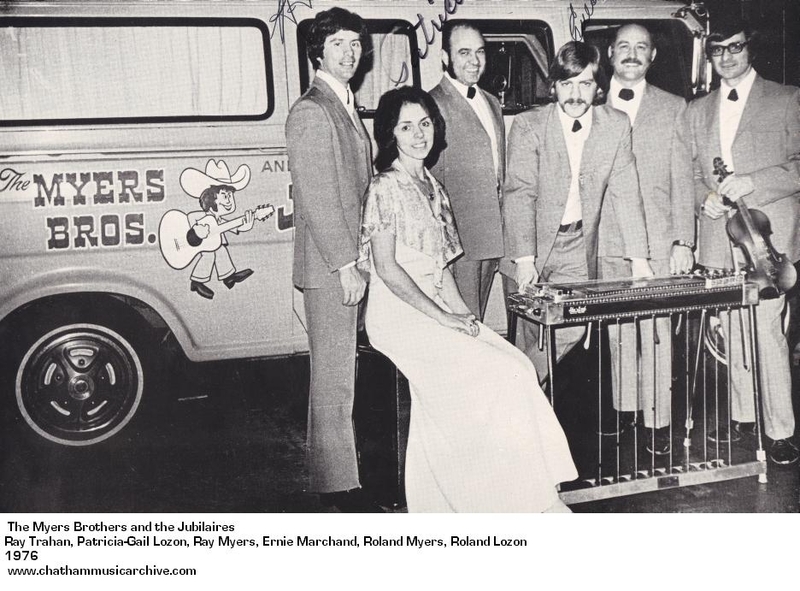 1978 – The Roller Alley opens in Chatham Nov. of 1978 on River Road. Disco music was the craze at the time. The economy bottomed out around 1982, and so did the disco & roller skating craze. Just like the Chatham Roller Alley, most of them became bingo halls. 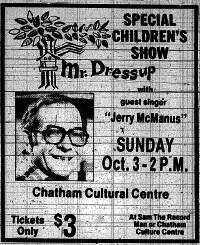 1979 – Chatham was on the Muppet Show, yes, really. Super Country Star Crystal Gayle did a cover of Slyvia Tyson’s (from Chatham) song ‘River Road’, the song about our River Road. The video is her performing it on the Muppets show. Watch video here. 1979 – In 1979, Ralph Murphy (Raised in Wallaceburg) had a huge year. He co-wrote “Half the Way” performed by Crystal Gayle and it became a number one hit. Ralph was also the producer for many of the tracks featured on April Wine’s Greatest Hits album released this year. 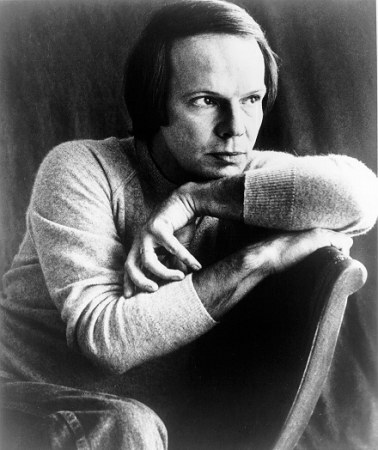 1979 – Bobby Vee, one of Rock and Rolls all time greats performs at the Blue Bonnet in Tilbury Friday Nov. 9th 1979. 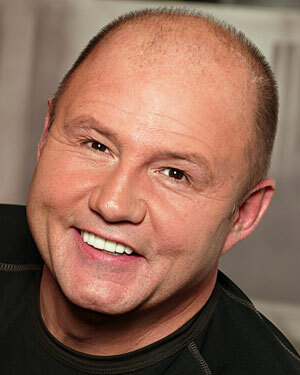 His hits include “Rubber Ball”, “The Night has 1,000 Eyes”, “Take Good Care of My Baby”, and “Run to Him”. 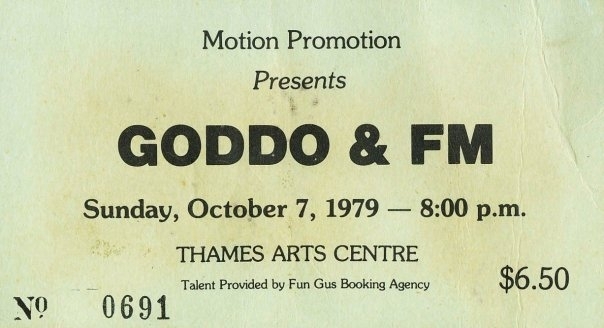 1979 – Polydor recording artists “Goddo” play at the Thames Arts Centre (known today as the Chatham Cultural Centre) Oct. 7th 1979, with special guests “FM”. Over 600 people attend the 700 seat venue. View ticket stub. 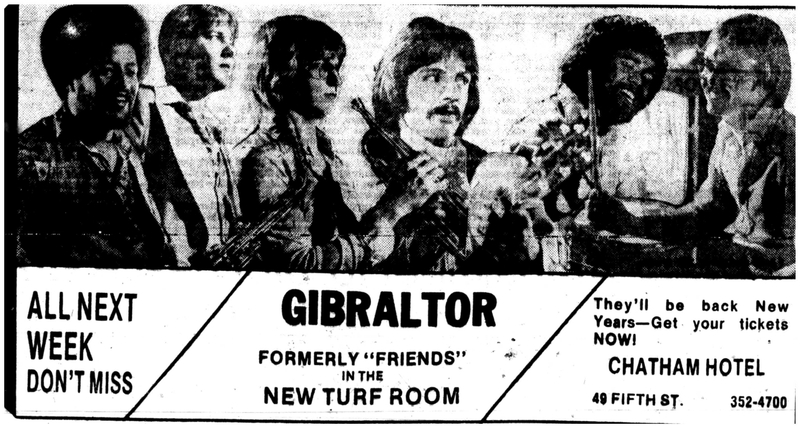 1979 – The Toronto Heavy Metal band ‘Lips’ (Changed their name to Anvil shortly after) played the Turf Room in Chatham 1979. They became a popular metal band around 1983 after the release of their song ‘Metal on Metal’ as Anvil. As of 2009, the band has released thirteen studio albums, and has been cited as having influenced many notable heavy metal groups, including Slayer and Metallica. 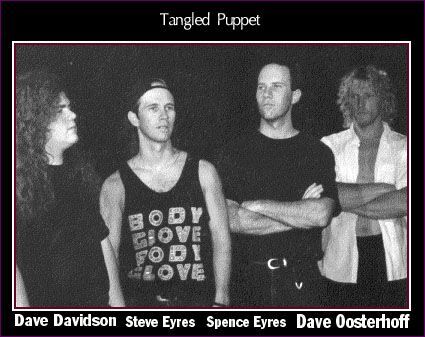 The band was the subject of the 2009 documentary film Anvil! The Story of Anvil, Upon its release, the film garnered critical acclaim from many major publications, and has since brought the band renewed recognition, including opening slots with AC/DC and Saxon. Appearances at major heavy metal festivals, including Download and Loud Park, also followed the release of the film. 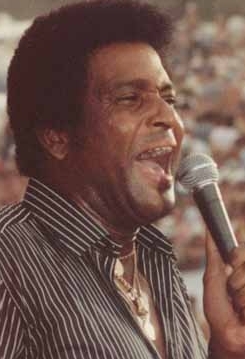 1980 – Country Star Charlie Pride performs at the Chatham Arena Friday August 29th 1980. Opening bands include Janie Fricke & Chatham’s Homegrown. He recently played the Capital Theatre in 2011. 1980 – The William Pitt Hotel (and the whole building) was sold and torn down in 1980. It was replaced with the Chatham Downtown Centre. A.K.A. Sears Mall. The William Pitt Hotel was host to many bands and entertainers over the years. 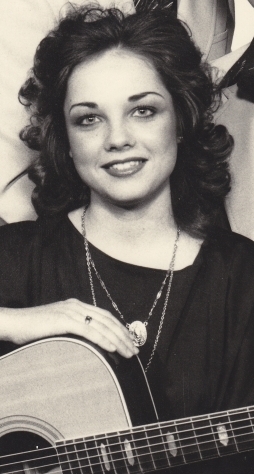 1981 – Local singing star Cassandra Leigh (Vassik) does her second performance on The Tommy Hunter Show. 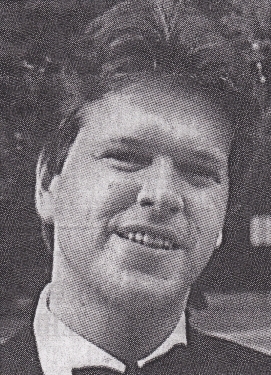 1982 – Mr. Dress Up comes to town. 1982 – (March 1982) Cassandra Leigh (Vassik) – Country and western singer of London (formerly of Blenheim) won $2,500 worth of recording time in the second annual Country Roads competition for country music acts from South Western Ontario. This was held in London. Cassandra is currently performing with her band Destiny. 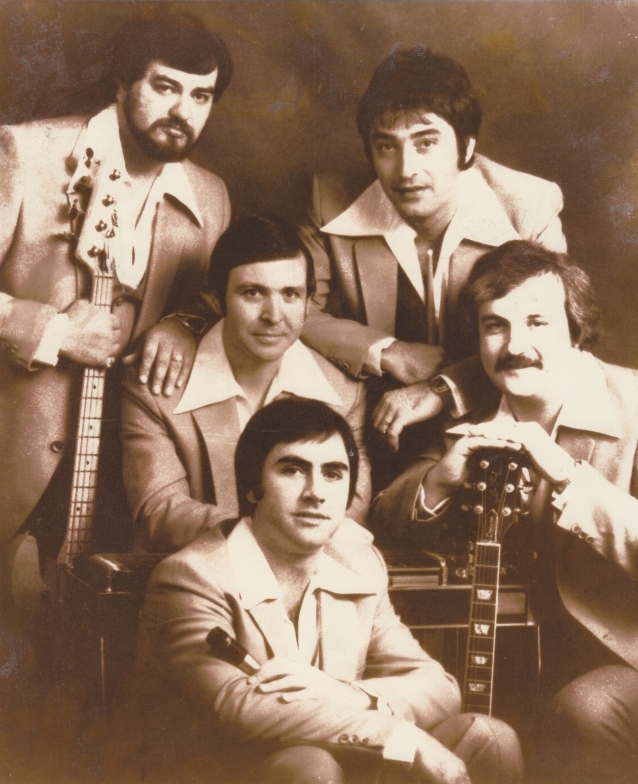 They are Kent County’s most popular dance band group. She would go on to Major Label succuess through the 1990’s. 1983 – Eightball Billiards & Games opens in October 1983. 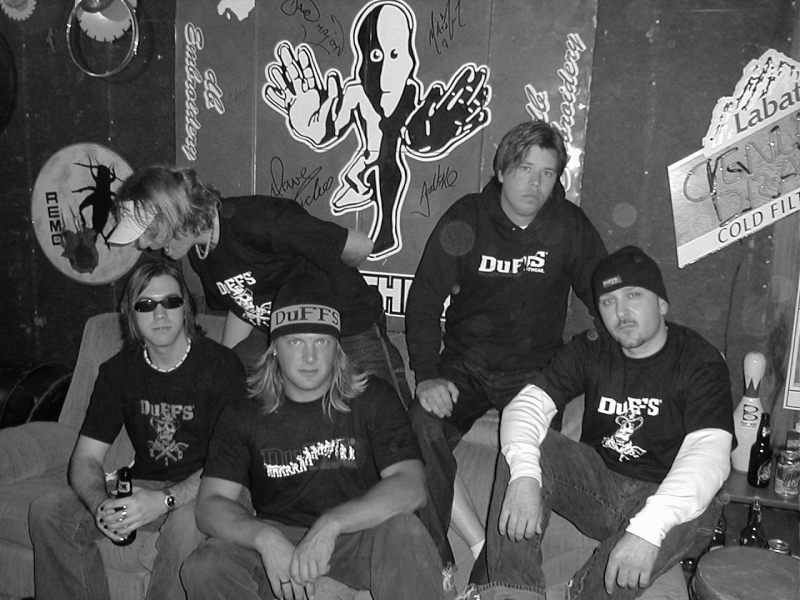 From the early 90’s until it closed in 2004, EightBall was the main consistent provider of live entertainment with variety. The venue also had one of the nicest owners in the world in Tony Almeida. 1983 – Jan 1983. Sound Shop, one of Chatham’s first music stores, is closing after 25 years. The store on four King Street was owned by Gwen and Paul Beardsal. 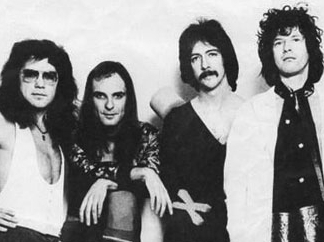 1983 – Helix plays the Aberdeen Jan. 1983, a year before their Commercial success with the song ‘Rock You’. The Aberdeen was Chatham’s infamous rock music bar well into the late 1990’s. It began as a hot spot for country bands. The aberdeen was ran by Al & George. Famous quotes included “Come on people, let’s go” and ” This is a hotel not a motel”. 1983 – Franks Music Centre celebrates its 25th Anniversary. Larry Lozon has been owner for roughly 20 of those years. 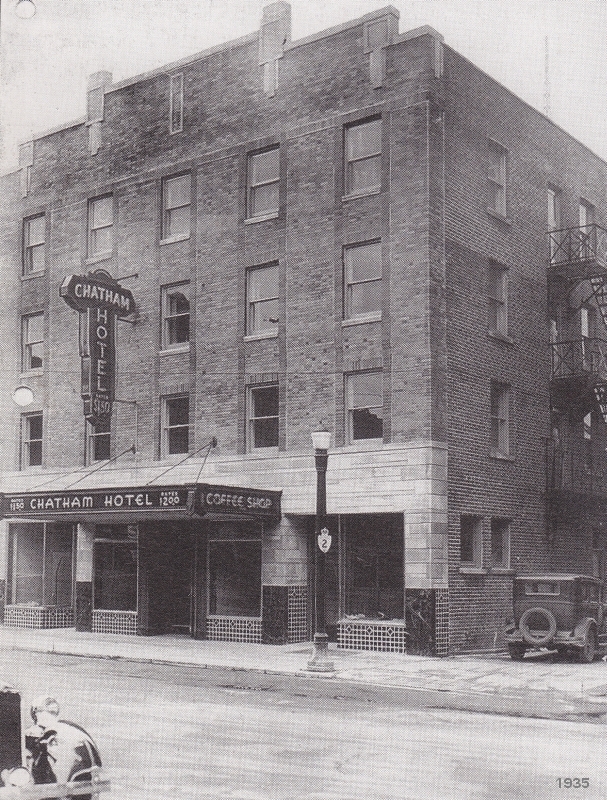 It originally was located at 230 Queen Street. 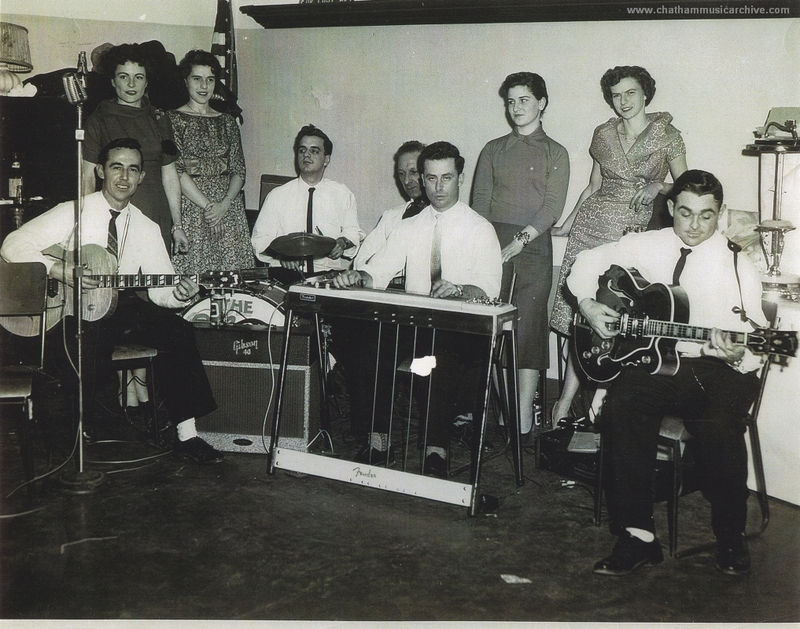 Besides selling instruments, Franks Music had 25 music teachers at the time. 1983 – The Lacroix Street Bridge was built. 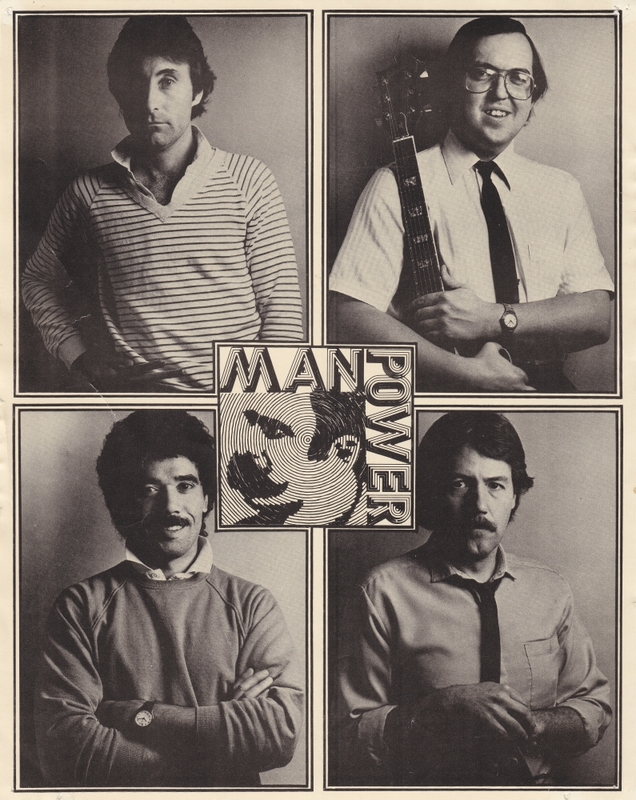 1983 – Manpower forms (formerly ‘The Force’). As of the latest update (2011), the band has been together for 28+ years. 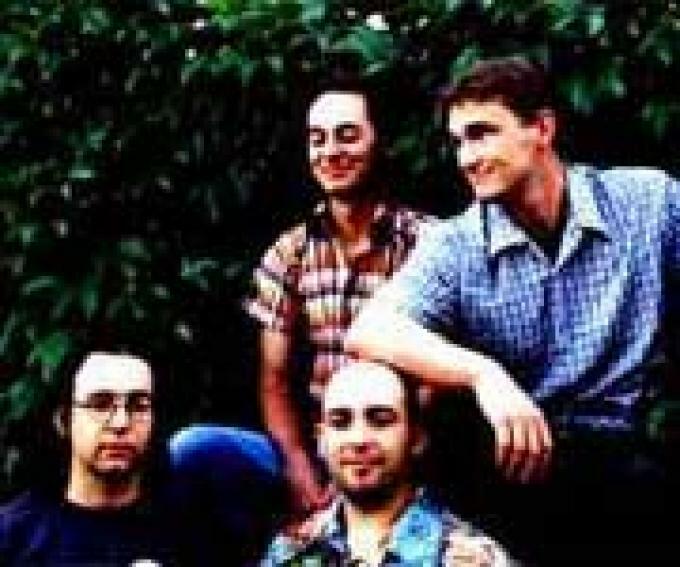 1984 – Local Chatham Bassist Bob Wilson (A.K.A, Robert Sinclair Wilson)(Friends, Quadrant) plays on Kim Mitchell’s record Akimbo Alogo, featuring the hit song ‘Go for a Soda’. 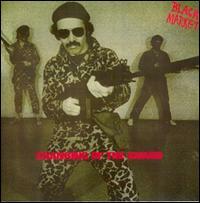 Bob also played bass in major acts such as Troiano and Black Market. 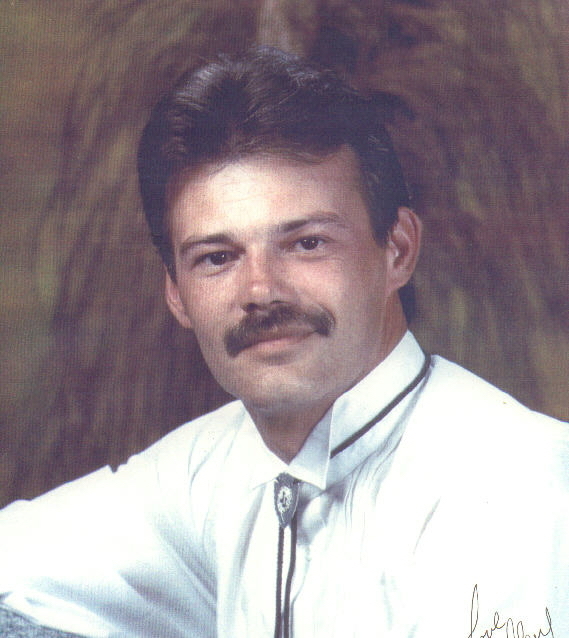 1985 – Country singer Brad Preston. Brad will be performing on the TV show ‘You Can Be a Star’ which has a viewer audience of 10 million. Preston currently plays guitar and sings in the local favourite country band ‘The Melody Ramblers’. The engagement came about when Brad sent his 1983 release ‘ Roses Always Turn Red’ to the show. 1986 – 1986 was the grand opening of the T-House at 342 Queen Street. 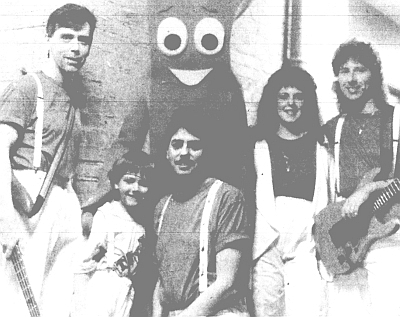 1986 – In April 1986, the Kent Kordsmen celebrated their 25th anniversary. They are a harmony “Barber Shop” style singing group. 1986 – CKSY 94.3FM: an adult contemporary music radio station began airing on July 1, 1986. 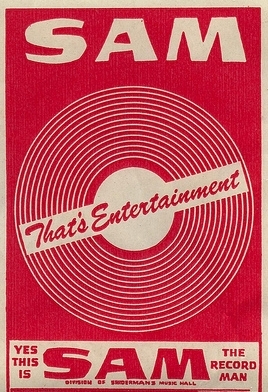 In 2002, CKSY swapped broadcasting frequencies with CKUE. 1988 – Kim Mitchell performs at ‘Copperfields’ (Downtown Chatham Bar) Wed. July 27th 1988. Tickets $15 Advance. 1989 – The popular Dr. Feel Good’s bar on Keil Drive in Chatham held its grand opening in 1989. It was owned by Frank Dimara. 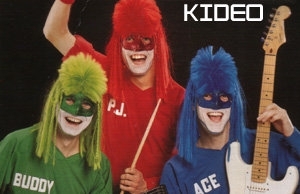 1989 – Kideo live at the Chatham Cultural Centre, Sunday Oct. 15th, 1989. 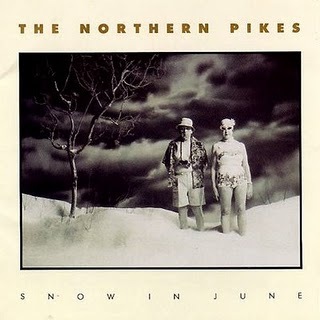 1991 – May 2nd 1991: The Northern Pikes perform at the Chatham Cultural Centre. Their big hit was “ She Ain’t Pretty”….She just looks that way. 1991 – King Street is host to a new bar named “Rascel’s”. It was formerly named Copperfeilds. Rascel’s brings some bigger names to town including Rick Emmett(Triumph), and David Wilcox. It was also home to rock & roll tribute acts on the circuit. 1991 – Tryx : March 1991. In Chatham, bands & musicians donate their time and talents to Charities. This is done allot in this community. The local group Tryx packed the Cultural Centre to perform for kids & parents to raise money for a local charity. 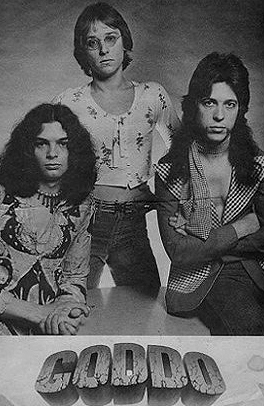 The band was made up of Stephen Neale – Bass, Tony Meriano – Drums, Sandra Shaw – Keyboards, Ted Shaw – Guitar. 1992 – If you wanted to buy a record from your favourite band in 1992, you probably bought it at Sam the Record Man located in the mall (Downtown Chatham Centre) and it was most likely a cassette. 1992 – Sylvia Tyson was inducted into the Canadian Music Hall of Fame during the Juno Awards ceremony. 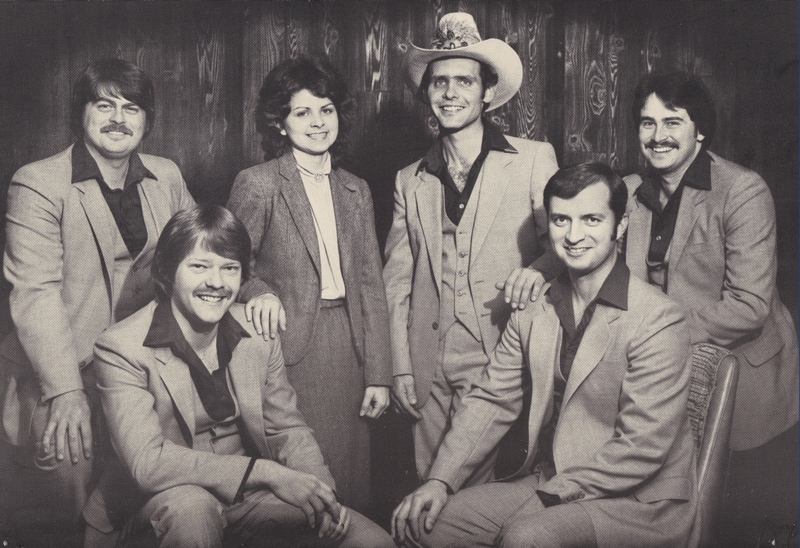 1994 – Local country favs The Melody Ramblers Retire. 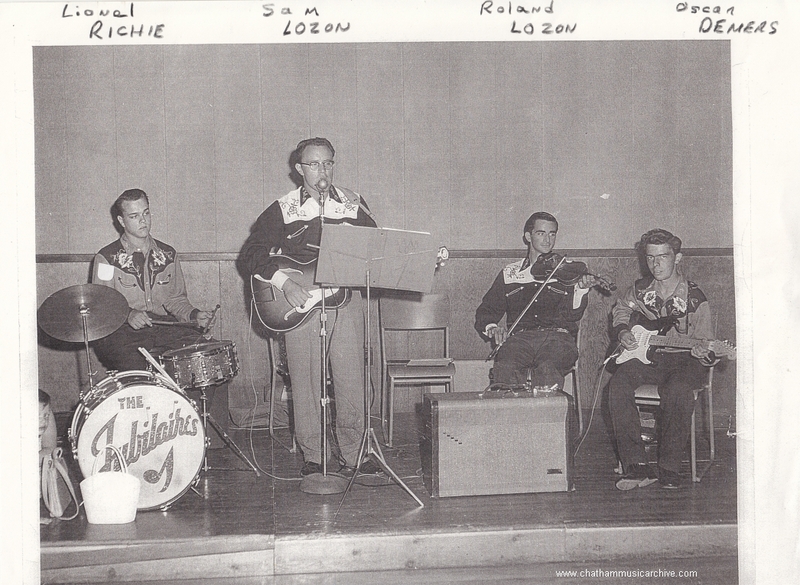 Sherley St. Pierre and his wife Theresa formed the country music band “The Melody Ramblers” in 1953. 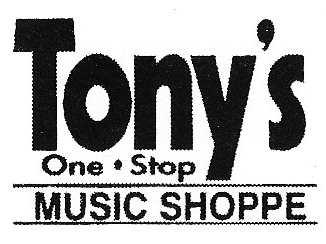 1994 – Tony’s One Stop Music Shoppe opens for business at 433 Merritt Ave. 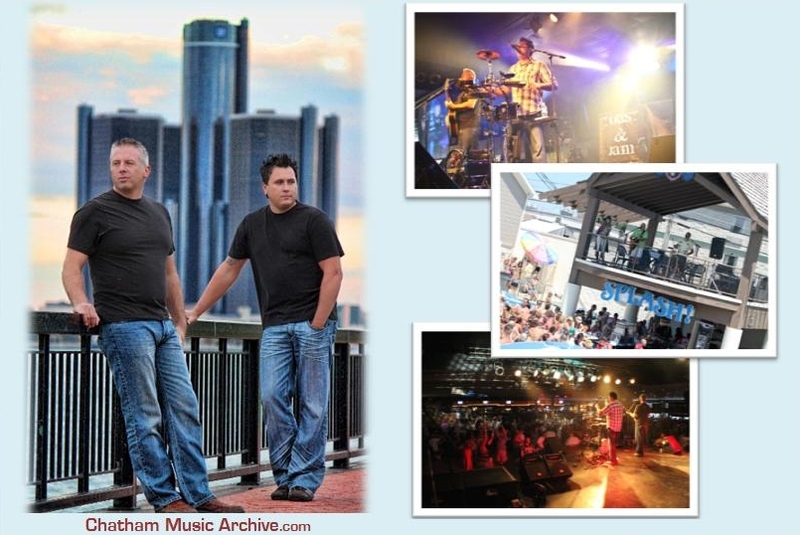 They specialize in Sound production and staging for the big acts and smaller acts. Tony’s deals in musical equipment sales and rentals. 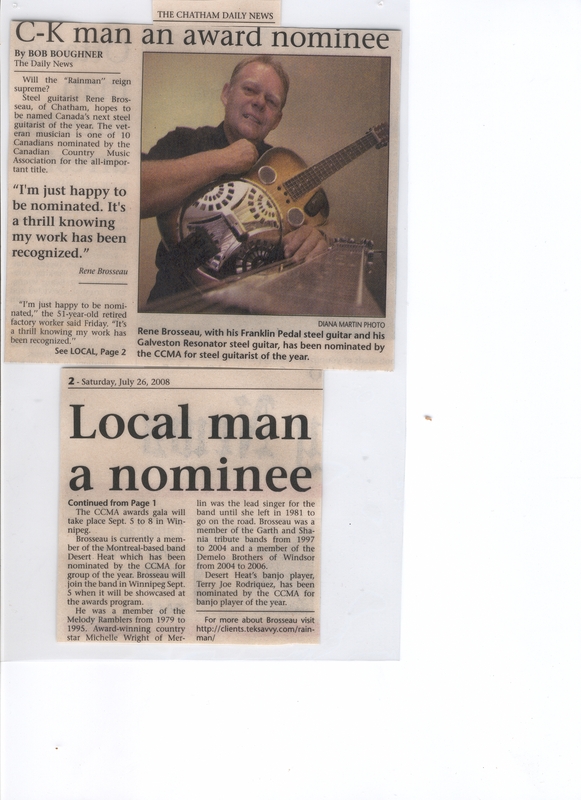 Many of you may know Tony Meriano from his years with Musical Strings ‘N’ Things. The store would later move to 83 Centre Street in 2004. 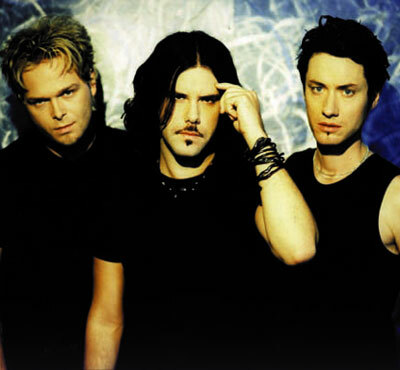 Tony is also a musician along with his sons Shawn and Scott who have played in several bands. It is a family run business. 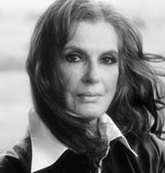 1994 – Slyvia Tyson was made a ‘Members of the Order of Canada’. 1995 – Sylvia Tyson is named to the ORDER OF CANADA in March 1995. Established in 1967 by Her Majesty Queen Elizabeth II, the Order of Canada is the centrepiece of Canada’s honours system and recognizes a lifetime of outstanding achievement, dedication to the community and service to the nation. The Order recognizes people in all sectors of Canadian society. Their contributions are varied, yet they have all enriched the lives of others and made a difference to this country. 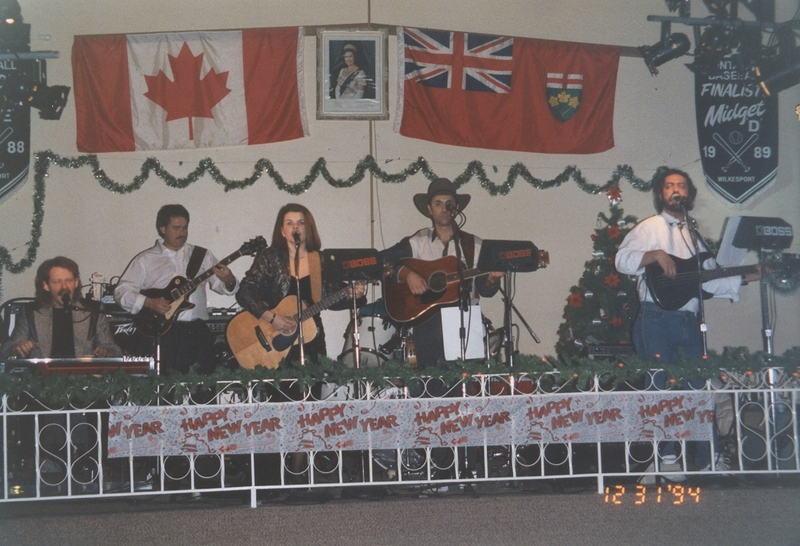 1995 – Chatham Kent’s Country star Michelle Wright performs her first headlining Canadian Tour. She also hosts the ‘CCMA Awards Show’ on CBC. 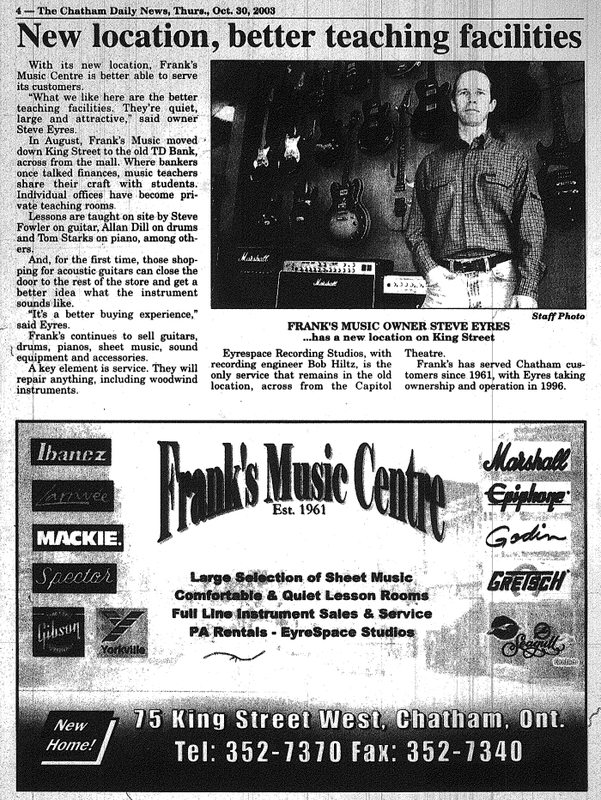 1996 – Steve Eyres takes over operations and ownership of Franks Music Centre. Steve also started ‘Eyresspace studio’ which is home to the best local recordings. Along with all that, he also performs in the popular local rock cover band ‘Tangled Puppet’. 1996 – Country star Michelle Wright’s television special ‘Songs & Secrets’ airs on CBC. 1996. Michelle was the Honorary Chairperson for ‘Operation C.A.T. Scan’, a fundraising campaign that raised almost two million dollars for St. Joseph’s Hospital in Chatham, Ontario (the hospital where Michelle was born). The campaign raised money for the hospital to purchase its first C.A.T. Scan machine. 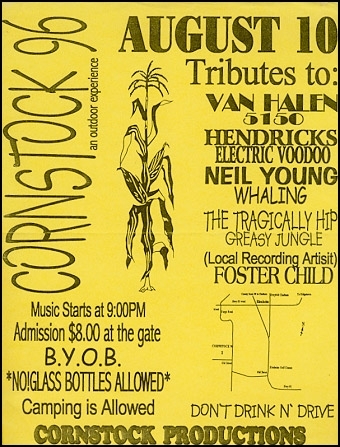 1996 – Cornstalk event draws huge numbers in 1996 and 1997. Held near Blenheim, outdoor event drawing 4-8000 people. 15 plus bands performing from noon till 6a.m. The best out door (B.Y.O.B.) event to ever hit the city. 1997 – Michelle Wright was the Celebrity Spokesperson for the 1997 Special Olympics World Winter Games and contributed to the Power of Peace CD celebrating the 50th anniversary of CARE. 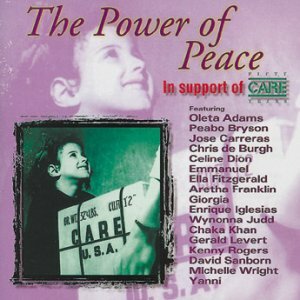 In the title track “The Power of Peace” Chris de Burgh sings together with Oleta Adams, Enrique Iglesias, Peobo Bryson, Gerald Levert, Aretha Franklin, Kenny Rogers, Giorgia, and Emmanuel. 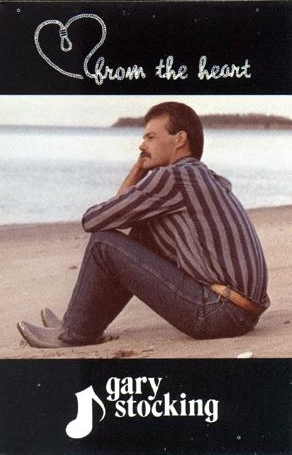 1998 – Wallaceburg raised Ralph Murphy has a few major song writing credits this year for Randy Travis & Crystal Gayle. 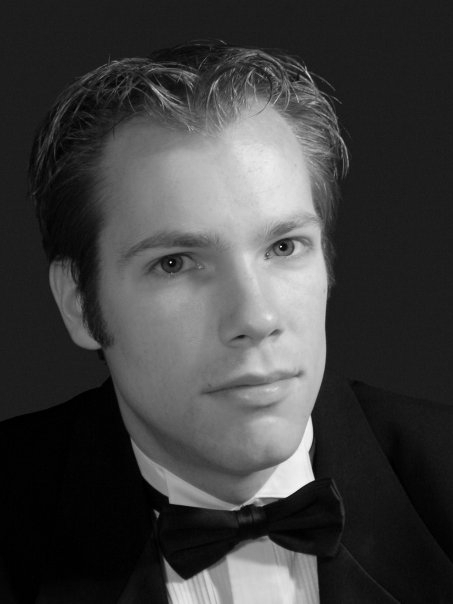 1998 – Conductor Doug Sanford conducted two orchestras, The East York and Okanagan Symphonies. 1999 – Chatham born Shaune Ann was a finalist in the 1999 Lilith Fair Competition to tour with Sarah McLaughlin, sponsored by Star 98.7 FM, chosen for the Top 20 finalists out of 3,000 applicant submissions. 1999 – Local blues band Midnight Mojo performs live on the “Open Mike” show with Mike Bullard. “Open Mike” (1997), was one of the longest running late-night talk shows in North America. The Gemini award-winning series was the most-watched late-night talk show in Canada’s largest market, comparable in popularity and success to late-night heavyweights Letterman and Leno. 2000 – Steve Shearer (Harmonica) Mr. Shearer is known world wide for his work with the Cowboy Junkies on their most successful album ‘The Trinity Session‘. 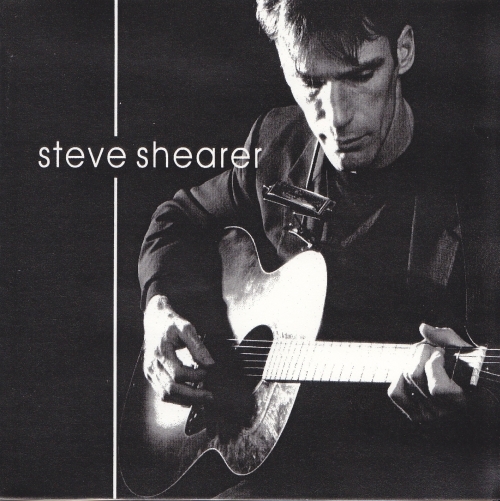 Steve also released a solo record ‘Steve Shearer & the Erie Ramblers’. 2001 – In 2001, Chatham born Shaune Ann toured with Peter Fonda and Branscombe Richmond (Renegade) in Tahiti and Campo Grande, Brazil as a lead vocalist for the World Motor Cycle Tour representing Indian Motor Cycles. Wright is no stranger to charity. She was the Honorary Chairperson for “Operation C.A.T. Scan”, a fundraising campaign that raised almost two million dollars for St. Joseph’s Hospital in Chatham, Ontario (the hospital where Wright was born). The campaign raised money for the hospital to purchase its first C.A.T. Scan machine. She also released her album ‘Shut Up And Kiss Me’ this year. 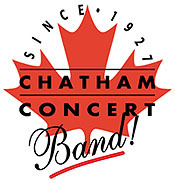 2002 – The Chatham Concert Band was organized in 1927 and in 2002 celebrated 75 years of continuous operation. The band is under the direction of Band Master Vaughn Pugh. 2003 – Jeff Healy’s Jazz Wizards play the Kiwanis Theatre in Chatham Nov. 26th 2003. 8PM $29 cover. 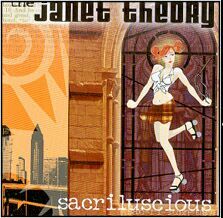 2003 – Local rock band ‘The Janet Theory’ release their fourth CD ‘Sacriluscious‘. The release scores two years of playing on legs of the years biggest tours ‘Warped Tour’ through Canada & The U.S.A. Two tracks also become part of compilation Cd’s in the U.S.A. & Canada. 2003 – In Chatham-Kent, Smoking is now banned in all public places, including restaurants, bars, billiard halls, bingo halls, bowling alleys etc..This takes effect June 1st 2003. The bar scene starts to crumble and the live music scene takes a crash. 2004 – Tommy Hunter performs @ The Kiwanis Theatre Jan. 30th. 2004 – ”Love Changes Everything” is an original song written & performed by Chatham born Shaune Ann and featured in the ABC Family Network Movie-Of-The-Week special “I Want To Marry Ryan Banks” in January 2004. 2005 – Pianist Ben Smith – Currently: Studies at the Glenn Gould Academy in Toronto now. He has completed 4 years of piano performance study previously. Ben will play his debut performance with Orchestra London on May 7 at St. Paul’s Congregational Church in Chatham. He moved away about five years ago to pursue his education. Ben has won several major awards for his piano performance and has also studied violin and organ, which take the back seat to his piano studies. 2005 – an extensive Canadian Broadcasting Corporation (CBC) poll determined Ian & Sylvia’s (Sylvia Tyson) song “Four Strong Winds” to be the “most essential” piece of Canadian music. 2005 – Bob Lucier – Resides: Burlington. Over 400 people attended a hall of fame tribute for Bob in April 2005 in Grande Pointe, his home of which he left in 1962 to pursue a music career. He played steel guitar on the famous ‘Tommy Hunter Show’ for 17 years (Starting in 1973) along with releasing his own CD’s and doing work on several artist’s albums over the years such as Ann Murray. 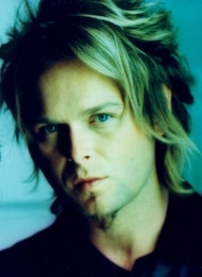 Bob currently performs with the band Magnum, released a new CD for his own work, and just finished a TV documentary for country star Shania Twain. 2006 – On December 29, 2006, CKUE-FM (The Rock) announced that Jeff Burrows, former drummer of The Tea Party, would be taking over the 10 a.m.-3 p.m. host position at the radio station on January 2, 2007. (2011 update, Jeff still holds this position as well as playing in the band Crash Karma.) Some of Jeff’s Highlights” Albums sold: 1.6 million records sold with The Tea Party. Largest crowd (multi-band bill support): 490,000 people – SARS relief concert, Toronto. Touring: worldwide touring included Canada 21 times, Australia 12 times, Europe 9 times, USA 8 times. 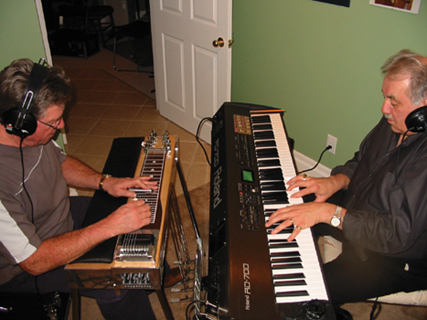 2007 – Oscar Demers – Pedal Steel, Guitar. Oscar Demers gets inducted into the Grande Pointe “Hall Of Fame” in 2007. He performed with The Jubilaires. The Jubilaires disbanded years ago with a new formation coming as the Jubilaires II. 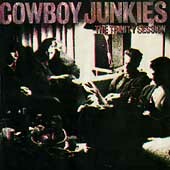 The group originally formed circa 1956. 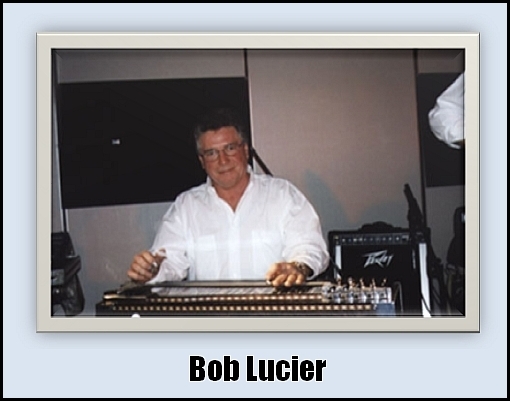 2008 – Bobby Lucier has been a leader in steel guitar and is world renowned for his unique style and ability. Bob was the resident Steel Player for “The Tommy Hunter Show” while it aired on the CBC television network from the mid ’70’s until its demise. 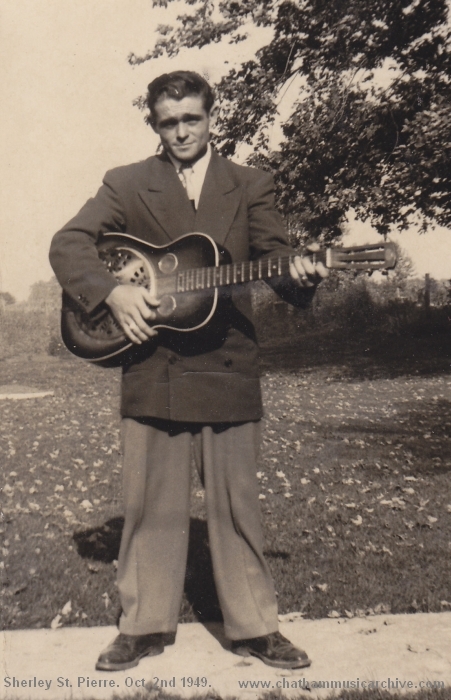 He was also the first steel guitarist with the famous Johnny Burke and Eastwind. 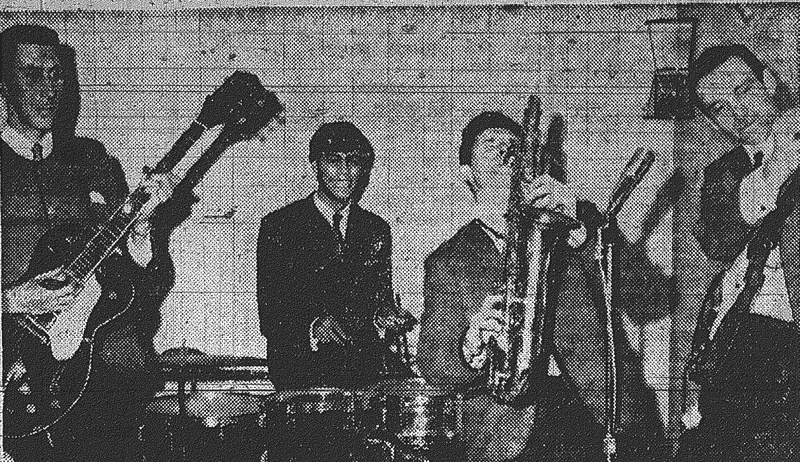 Before that, he played in Bill Anderson’s “Po’ Boys band”, “Myers Brothers and the Jubilaires”, and a few others. 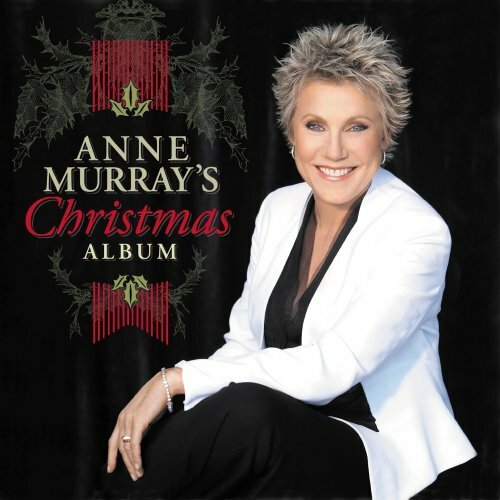 Bob’s steel guitar playing is on many of Ann Murrays albums recorded through the years. 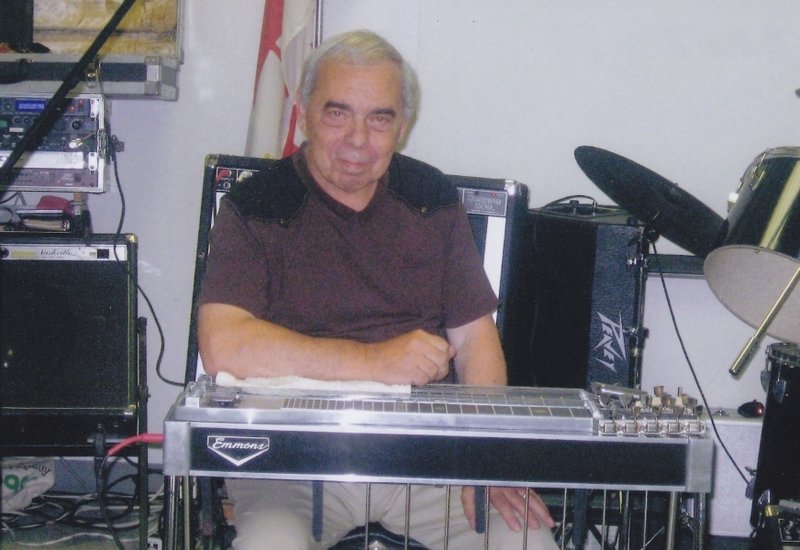 2008 – Pedal Steel and slide guitarist Rene Brosseau Nominated by CCMA. * Nomination: Nominated by ’Canadian Country Music Awards’ for “Steel Guitarist of the Year”. 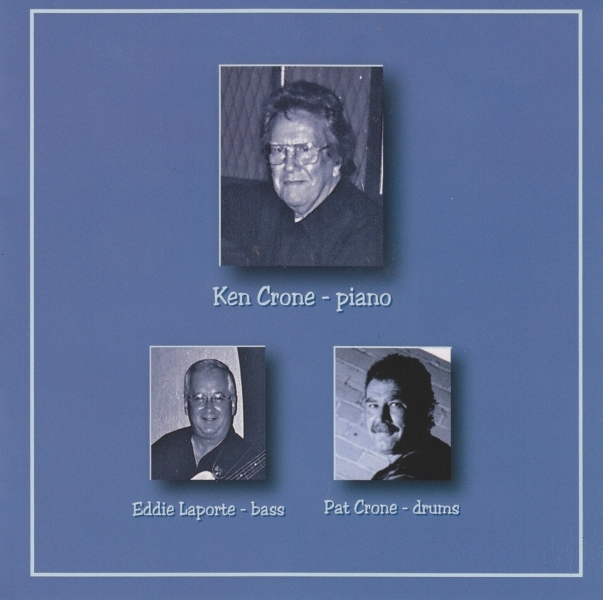 2008 – Ken Crone. Ken has also just released a book that outlines the 80-year history of the Chatham Concert Band. 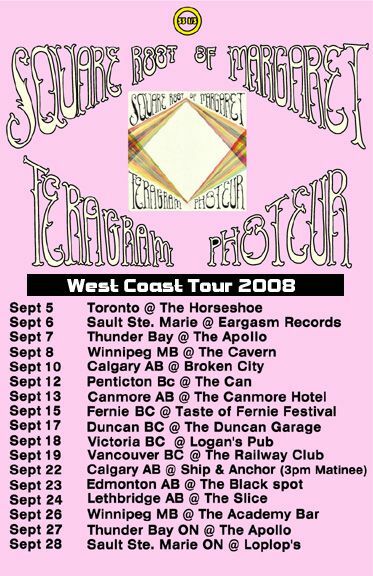 2008 – Square Root of Margaret Cross Canadian Tour begins. 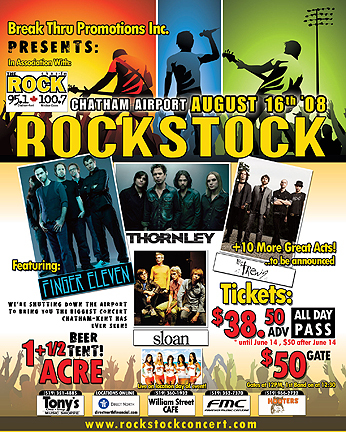 2008 – Rockstock hits the Chatham Airport. They shut down the airport to bring you the biggest concert that Chatham Kent has has had since ‘Cornstalk’ in 1997. 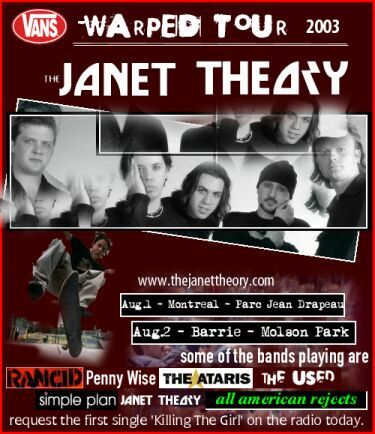 2008 was the inaugural concert, with headliners such as Finger Eleven, Sloan, The Trews and Thornley. Around 6,000 people attended this event. 30th Annual Blues Awards in Memphis. 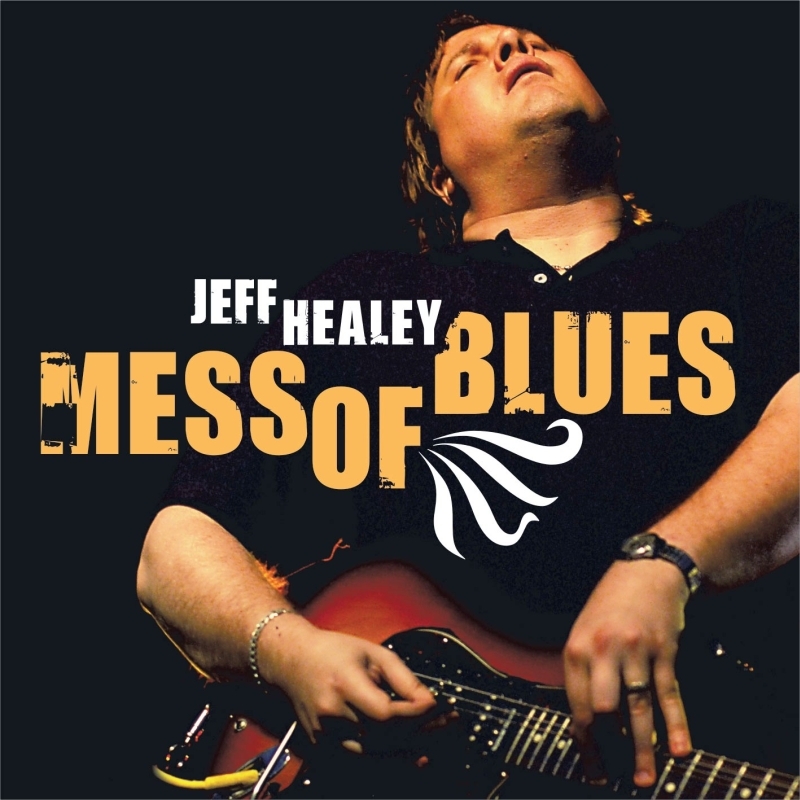 2009 JUNO AWARDS: “Mess of Blues” Nominated for “Blues Album Of The Year. 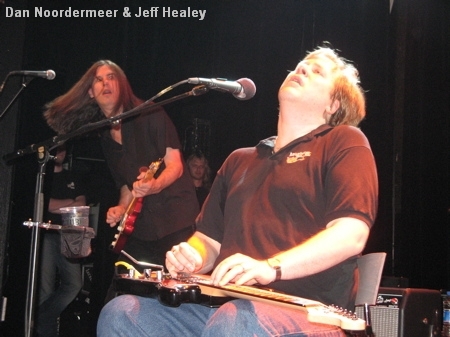 Touring worldwide with Jeff Healey since 2002. Dan Nordermeer recorded this final album with Jeff in London England & Toronto Canada. 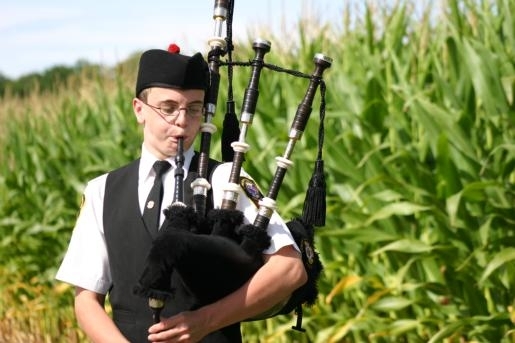 2009 – Justin Steele (13) won two gold medals from the Solo Championships in the Grade 3 Light division at the North American Solo and Pipe Band Championships.Winner of many awards from different Highland Games across Ontario. Justin was also the winner of the So You Think You’ve Got Talent contest. 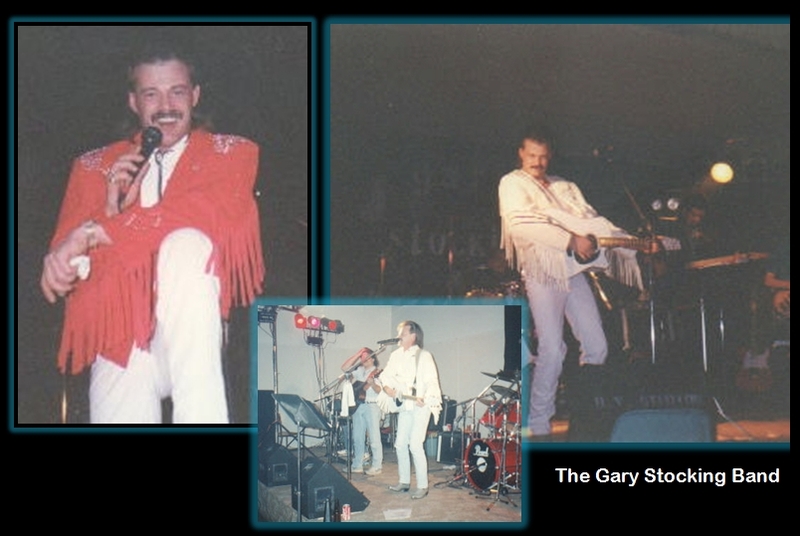 2010 – The Chatham-Kent music scene lost a loyal supporter Wednesday (March 3rd 2010) when Tony Meriano, owner of Tony’s One Stop Music Shoppe in Chatham, died at the age of 61. 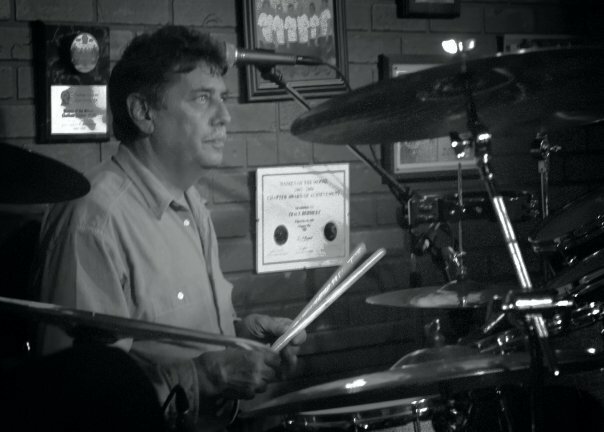 Tony was an active drummer since his first real gig in 1969 (The Cricketts), to his current band in 2010. He was also on the board of directors for many festivals and events including our “Festival of Nations” (held each year at Tecumseh Park since 1986). Many knew him for his many years at ‘Stings N Things’ where Tony & Clint ran the store before Tony opened his own shop with his family. I was speaking to Tony quite often just before his passing and he was very excited to get involved with this website because of his natural love for music history. He did give us several pictures and info so far. It is sad that so abruptly he had passed just before we were to talk more and to have him share his stories with all of us. Tony, you will be missed by all of your friends here. Almost every single person and band listed on this website knew Tony, or had Tony help them in some way. He was involved in helping many charities that benefited the community.Simply, a good man. 2010 – Jerseys bar closes in February 2010 after 6 and a half years of being open. The venue brought live bands to Chatham almost every weekend and packed them in. The bar located at 125 Keil Drive in Chatham closed out to a full house with entertainment provided by ‘Toast & Jam’. A popular duo performing covers. 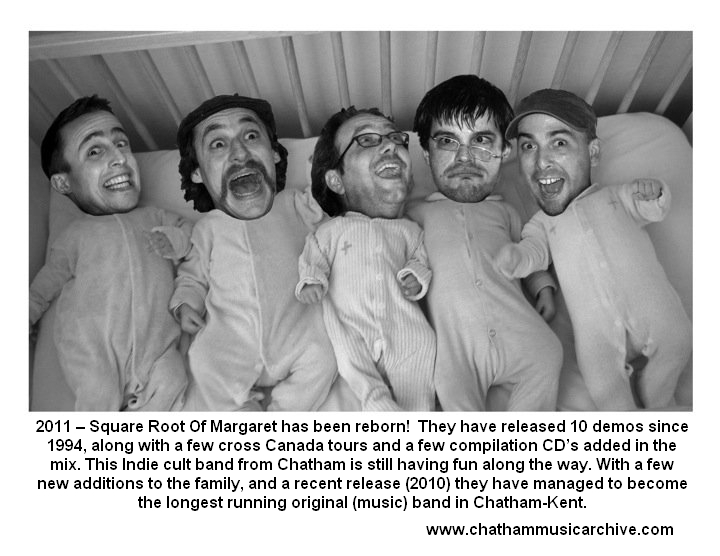 2011 – Square Root Of Margaret has become the longest running original (music) band in Chatham-Kent. 2011 – The Golden Tap closed its doors after its final night on April 17th 2011. Owner Ed Arndt opened the Country bar 14 years ago. It was previously known as the Kingsway. The venue was host to live bands every weekend. 2011 – Michelle Wright (Country singer) was formally inducted into the Canadian Country Music Hall of fame this year. 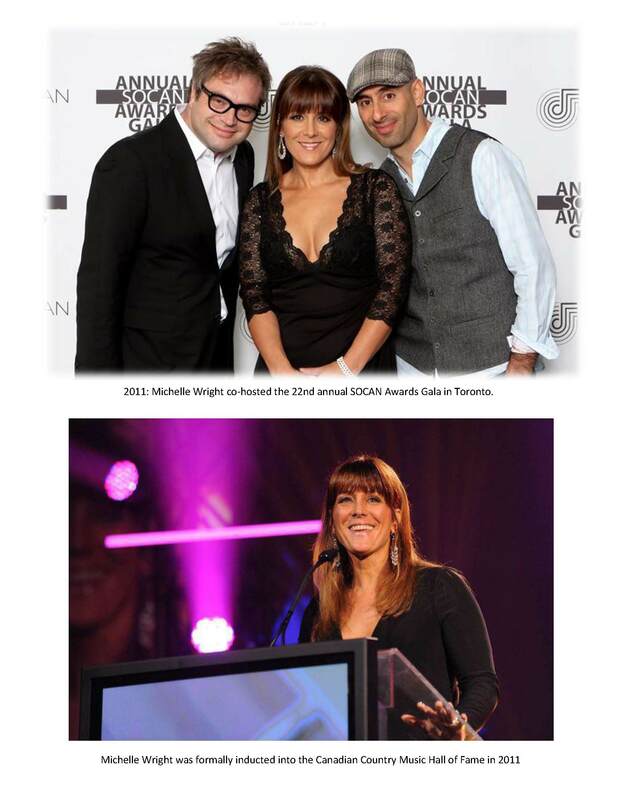 As of 2011, Michelle had 25 top ten hits in Canada. Seven went to #1. Five Gold records. Two multi-platinum records. World wide record sales nearing two million units & one million in Canada. Toured North America, Europe, Africa, South America, Asia, & Australia. 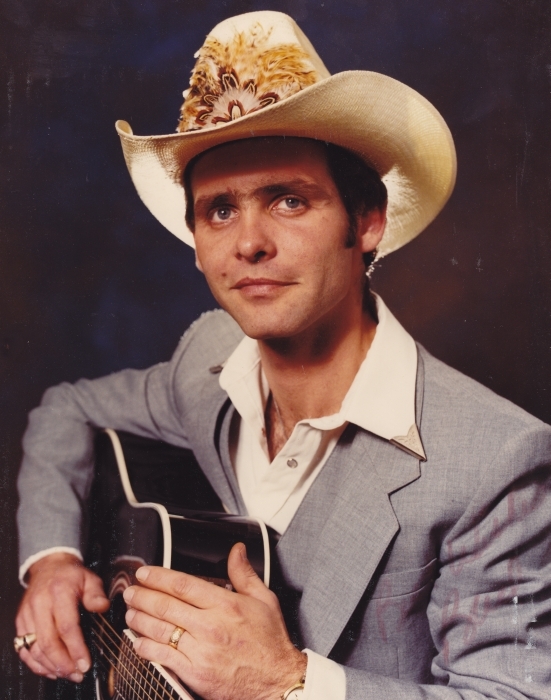 2012 – Ralph Murphy inducted into the Canadian Country Music Hall of Fame. He wrote several hit songs & produced gold records among many other highlights. Buy the CD @ Itunes online here. Visit or listen online here or here or here. Notes: Jim is a story teller extrodinaire! His songs are personal, well composed and played and sung beautifully. 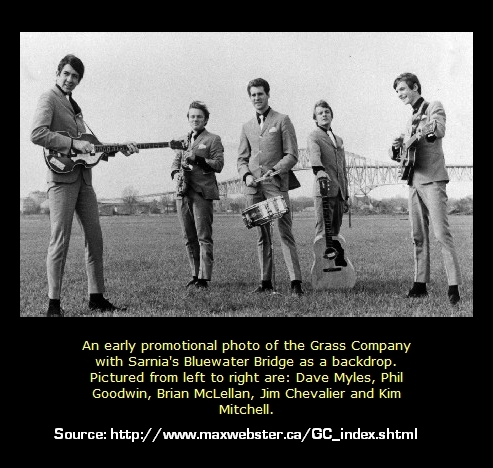 Bio: After growing up on the streets of Chatham Ontario, attending high school and finishing with no fixed address, attending numerous universities in both the US and Canada with a goal of football and wrestling, being a Zodiac pilot for Greenpeace “Save the Whales” and a short term in a Newfoundland jail for anti-sealing protests, Jim turned his attention to playing music. 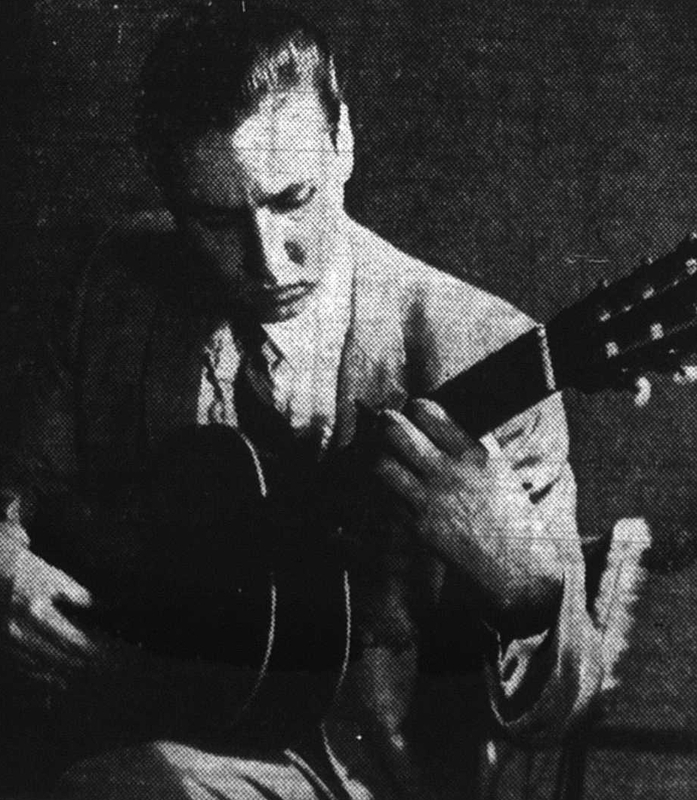 With his first test being in Calgary Alberta at the 1st Studio 1/ Keen Craft (Long and Mcquade) music award he walked away with top prize as a member of the duo “Bow River Lumber Company.” This was not a small feat as names such as Jan Arden, Oliver Krall, Scott Parsons and Jenny Allen were also on the program. Jim has opened for Utah Phillips, Rosalie Sorrels, Connie Calder, Michael Lewis, and Scott Parsons, to name a few. His style and musical influences include suc all-time-greats as Stan Rogers, Harry Chapin, Chris De Berg, John Prine, and James Taylor. 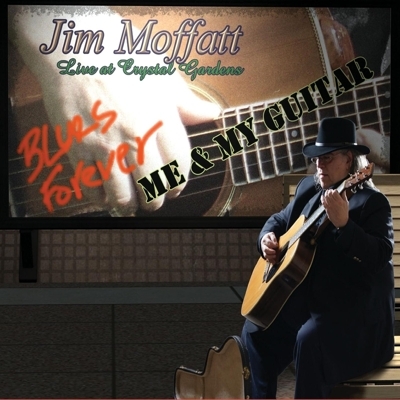 Jim’s been around folk festivals, having played the Home County Festival in London Ontario, Blackfalds Folk Festival in Alberta and Vancouver Island Folk Festival and others. He has played universities from Windsor to Ottawa, from London to Thunder Bay to Calgary. He has been featured in L.A. at the Pier 1 Show, and was a band member with groups such as Hero, Panic and The Bow River Lumber Company. His first love has always been a singer-songwriter writing music to bring images to his listeners’ minds. Current: Guitar Teacher at Franks Music Centre. Credits: Bachelor’s degree in classical guitar performance. 25 years experience. 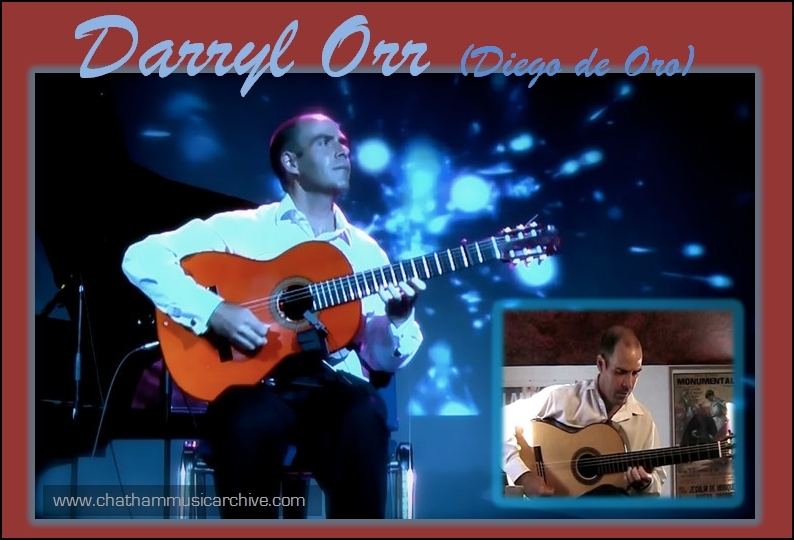 Darryl has made a living playing guitar for over 20 years. This has taken him around the world except the Pacific rim countries. He also performed for the Duchess of York. Darryl moved back to Chatham recently and is a regular in the CK Guitar Summit. He just finished a show as a feature performer for Tom Lockwood’s Saturday Night Music Series at the Cultural Centre. 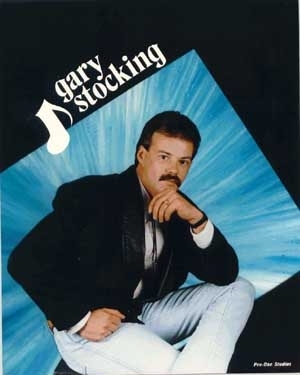 Notes: In 1992, Gary released a demo cassette entitled From the Heart. He previously performed in Driftwood & Shades of Country. Do you have info on local bands? You are currently browsing the Chatham Music Archive blog archives for February, 2011.